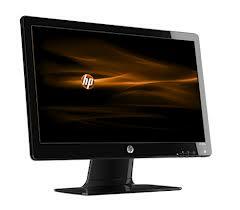 HP 2011xi Monitor Review – What You Want On Top of Your Desktop. With back to school fever in full effect many are finding it the perfect time to pick up a computer. After deciding whether or not a traditional PC or laptop will satisfy you, inevitably you will find yourself wanting a bit more screen space at some point. 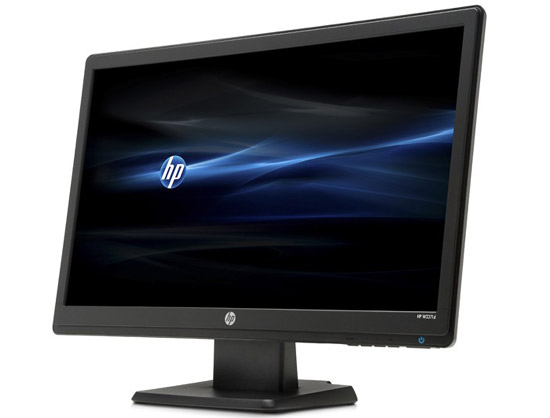 The HP 2011xi monitor with its gorgeous IPS LED Backlit display, is perfect for the person who wants more space to view small on screen objects in a larger way without sacrificing resolution, or for the college kid on a budget looking to watch movies and play games without sacrificing picture quality. As you can see, the monitor is sleek. Black with a glossy finish like most high end televisions and just as thin at 36.8mm. Finger prints are not invisible but neither do they prove to be easy to see and since the display is easy to clean there is no problem keeping it spotless, unfortunately a microfiber cloth was not included. 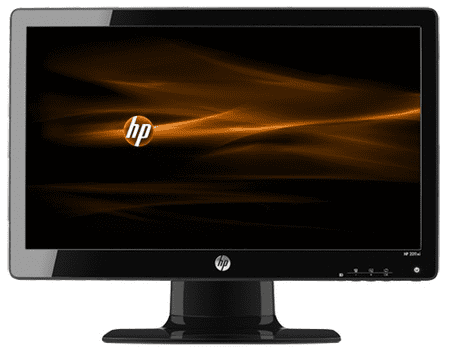 Nonetheless, with the exception of the HP logo, the monitor would easily pass for a small television and since the base is easily removable, there will be no issue mounting it as one, or in a stand for a dual monitor setup. Unfortunately, VESA mounting wholes are absent so finding a mount that works best may be a task in itself. Other than that, there really is not much to be said other than the monitor is handsome and will compliment any room. The model I reviewed was the 2011xi which is the 20inch model but there is a 23inch version available as well. The 2011xi does not include an HDMI port so I couldn’t test our monitor with my PlayStation 3 or Xbox 360. At this point, it’s hard to excuse any display for not including an HDMI port. While the 2311xi does not have this issue and includes one, it just makes the 2011xi seem slightly less appealing due to such an unnecessary omission. The 2011xi sports a 1600 x 900 resolution for its IPS LED Backlit display and a 3,000,000 to 1 contrast ratio. The 178° viewing angle HP boast about is on point which I’ll discuss in more detail later. Included is a power cord, DVI-D and VGA cable. Round everything out with EnergyStar compliance and you have the monitor in a nutshell. Despite its few shortcomings, the screen more than makes up for them. The screen on this monitor is simply a joy to view. Colors are bright and vivid and puts some current televisions to shame. You will be hard pressed to find a poor viewing angle on the monitor no matter where you stand. The IPS technology used in this monitor has even found it way into the new ENVY line of laptops just to show you how proud HP is of what they have created here, and they should be. The UI for the menu is simple enough allowing for any needed adjustments to be made and when the monitor doesn’t detect a signal it will enter sleep mode after a few seconds making sure not to use unnecessary power. Watching movies looked good, games looked good, and even text documents looked… good. Overall, a very pleasing experience. Purchasing monitors should now be given the same amount of thought as when purchasing a television. Since the lines dividing the two have virtually disappeared, it makes sense to seek out the best quality for the best price in order to get the most out of the content you will be displaying, especially if your occupation or habits require you spend a good deal of time in front of the screen. With that said, I can fully recommend the HP 2011xi at $150 but really encourage you to spend the extra $40 for the 2311xi. The extra size and HDMI port which will make sure you never regret your purchase. Jonathan Baez is a New York native raised in the Bronx as a certified geek. He loves gadgets, gizmos, what-ya-ma-call-its, and anything in between. His passion for tech is matched only by his love for Video Games, Anime, and Music. In addition to writing for G Style Magazine, Jonathan is bringing his children up as little geeks in training.